You know, finding all those old coders is quite difficult. Many of them are no longer in the games "biz", and those that remain are now often much smaller fish in a pond that's bigger than the Atlantic Ocean. It's a far cry from the days when a title screen gave the name of the game and the name of the programmer, and that was it. There are some people that we looked up to then that are, for some reason or other, easier to locate... and those people are the writers. 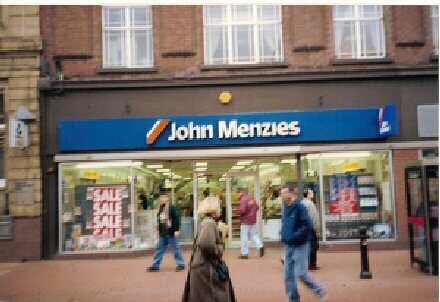 If you owned a ZX Spectrum or a Commodore 64, you either bought a games mag or stood and read it in John Menzies for as long as you could escape without a clip round the ear from a store detective. What was great about those magazines was that, in many cases, their reviewers also had distinct personalities. It got to be that you would identify with certain reviewers, either because they were funny or because you trusted their judgement or had similar tastes in games. As the shelf lives of the computers expired, the magazines we loved died out. There were others, for newer, shinier machines, and they did their best to fill the voids. Some of them were really good... I particularly loved Mean Machines Sega, myself. Now, there's not really that much beyond EDGE. It's all gone online, where news is so hot off the presses it could burn your retinas out. So, what happened to some of our favourite reviewers? Like I said, many of them are a little easier to track down than the coders, and I hope to include some of them in this book. If you ever read Your Sinclair, you probably either loved or hated Stuart Campbell. Never shy to offer a controversial opinion, "Rev. Stu" continues to prod and poke at the games-playing public today, whether in magazines or on his website, World of Stuart. Love him or hate him, it's hard to argue with him (primarily because he will hunt you down and give you a verbal battering). From ZZAP! 64, Julian "Jaz" Rignall stayed mostly in the games industry. He was at GamePro until they recently closed down; now he has a cool gaming blog called Playotron, and a very active, informative and entertaining Twitter account. Gary Penn continued to work on games mags, but is now at Denki, producers of such great puzzle games as Denki Blocks! and Quarrel. Gary Liddon is head of successful games studio Ruffian Games, who can name the Crackdown games among their successes. Steve Jarratt has remained in games journalism this entire time. Look, prizes! Things you can win! And they're good for you! Gordon Houghton has taken his wordsmithing skills in a different direction, writing a number of novels (five, in fact) which are, in turn, interesting, entertaining and challenging. Not only that, but they're all vastly different, which is quite refreshing in today's cut-and-paste world of novels, where even your favourite authors seem to merely change the names and locations. His website, The Burrow, has these available to buy in various formats, and also has a number of links to ZZAP! 64 and Commodore 64-related things. 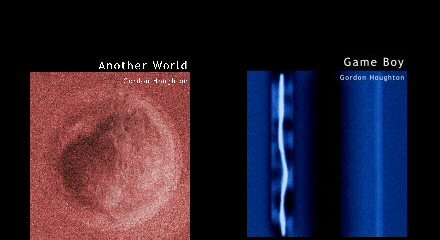 His latest, Another World, is a sci-fi novel set toward the end of the twenty-second century. If you want to know more, go here for links to buy them at very reasonable prices! Alternatively, I have an e-copy of Another World to give away... just post a comment telling me what is your favourite Commodore 64 or Spectrum review of all time, and I'll put you in the draw. And as a bonus, I have an e-copy of Gordon's book Game Boy, which is a novel filled with more video game references than you could shake a Konix Speedking at. If you love video games and reading, this book is for you. Winner gets their choice of novel, second place gets what's left. You have until Sunday to post - go! Being far too lazy to trawl through the DVD I bought of every Zzap review ever done I've turned to one review I disagreed with immensely as the intrepid reviewer slates a game I loved. It is a great read and despite the fact that I love the game to bits, I also love the review, written with humour, authority and SOUL. Wizball (C64) by Ahchay on WotR. Hey there's an idea - interview Andy for the book. I vaguely recall the ZZap!64 review of Ghosts'n'Goblins (issue 17). I think the mention of a knight in spotty boxer shorts was quite funny. However, the review of Thalamus' Delta is the one I recall. The 74% (or was it 76%) rating all came down to the contentious issue of needing to select the correct weapon at the correct time to progress. I think Rignall and Liddon were positive, but Penn was not. In retrospect, I think Gary was right but at the time I remember wondering how he could have stopped Delta from getting the Sizzler that it deserved. Has there ever been better music or a parallax star-field? Ahh, yes, the Delta rating. It was indeed 74%. I remember being surprised at the time, and also when I played it, but I think I was swayed by the pretties and the game itself did have some flaws. For me, the one that springs out is Nexus. I remember Gary Liddon's rant about the packaging being hilarious. Day 63 - Olympic fever? Day 61 - when there's no answer. Day 43 - come on, Tim! Day 40 - can I have some chocolate please?